528 horsepower from a turbo four? Where do we sign? 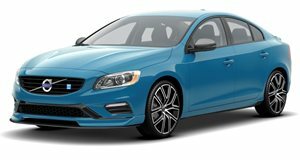 Formerly the competition department of Polestar, Cyan Racing has cultivated a reputation for turning Volvos into championship-winning race cars. But as Volvo's parent Geely has broadened its umbrella of brands, so too has Cyan expanded its scope. This past October, the racing team turned the Lynk & Co 03 into a touring-class racer, promising shortly thereafter that it'd turn it back into a performance sedan for the road. And here it is – in concept form, at least. Called the Lynk & Co 03 Cyan Concept, the show car boasts an impressing 528 horsepower ad 372 lb-ft of torque. That's a whole lot of muscle to squeeze out of a 2.0-liter turbo four, revving to a sky-high redline of 8,000 rpm. And it all drives the front wheels through a six-speed sequential transmission and a multi-plate limited-slip differential. With all that power on tap, Cyan says its new concept car will rocket to 62 mph in 4.4 seconds, and come back to a full stop in under 100 feet (30 meters or 98.45 feet to be exact). It'll keep pulling to pass 124 mph in ten flat, top out at 193 mph, and pull 1.5 Gs of lateral acceleration. 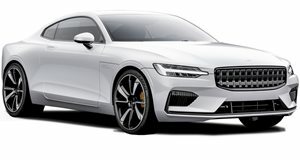 The design looks like a thinly disguised version of the TCR competition version, riding on a set of 20-inch wheels, mounted to adjustable Öhlins dampers, and packing giant 378-mm (14.8-inch) brake discs up front with six-piston calibers, and 290-mm (11.4-inch) discs at the back with two-pot shoes. And the whole thing weighs just 2,837 lbs (1,287 kg) – about the same as a Lotus Evora (also produced by a Geely subsidiary and race-tuned by Cyan). It's the work of largely the same team that developed the Volvo C30 and S60 Polestar concepts, which were pretty impressive pieces of kit in their time. We certainly hope so. Cyan says it's been testing the concept in Spain (where the weather's sunnier and warmer than in Sweden), and will develop the road-going concept alongside the race version competing this season in the World Touring Car Cup, whose predecessor series Cyan last won in 2017.